Jessica Zucker, PhD, a psychologist specializing in women’s reproductive and maternal mental health, has been committed to raising awareness surrounding miscarriage and stillbirth since she created the #IHadaMiscarriage campaign back in 2014. 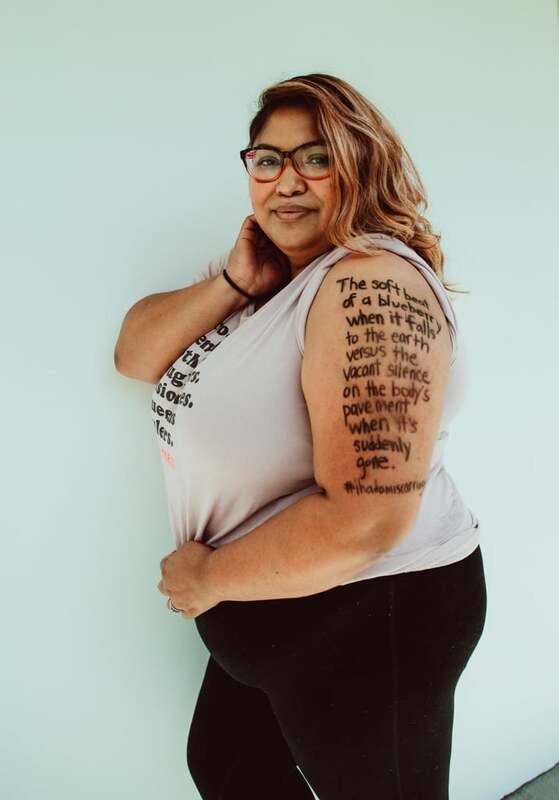 And because October is Pregnancy and Infant Loss Awareness Month, Jessica joined forces with poet and artist Skin on Sundays to spotlight 10 women who have battled infant loss. In an effort to destigmatize what it’s like to lose a pregnancy or have a stillbirth, Jessica focused this year’s project on the raw emotional component of the experience. 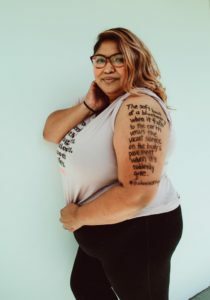 She had women pose with moving poems written on their bodies, and it’s visually powerful.